Before we learned that we’d be able to bring you rider diaries from each of the riders at USA Cycling’s Cyclocross Development Camp, Tobin Ortenblad agreed to share his personal experiences and thoughts with us. So for the remainder of this series, you may be hearing from Ortenblad more than the other riders. 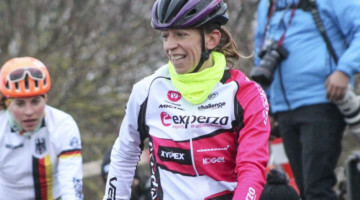 Of course, Ortenblad isn’t a new name to American cyclocross race fans. And this year he’s had a season with solid results. 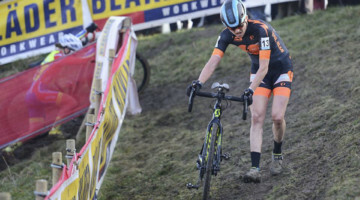 Aside from riding to 22nd at Namur last weekend, a personal best, he rode into the top 20 and another personal best at the Valkenberg World Cup this season too. We spoke to Ortenblad early last month. 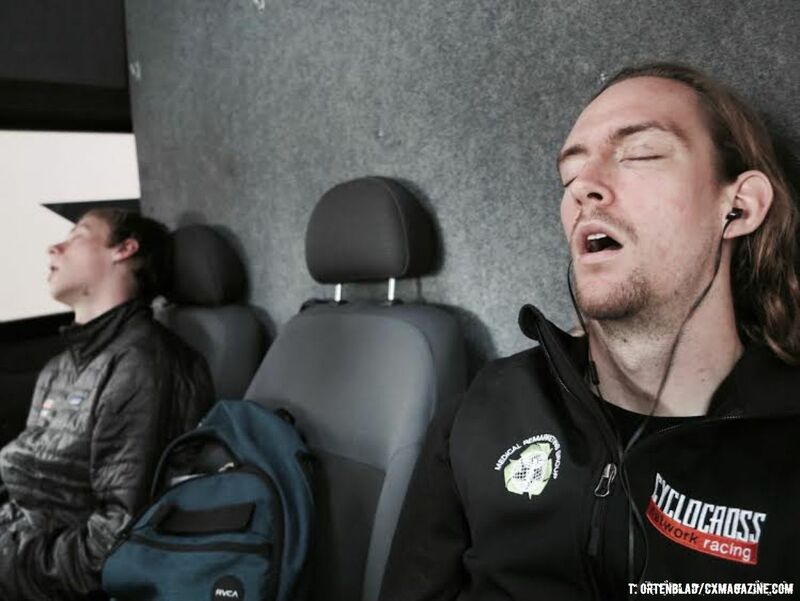 And here in his rider diary, he tells us what Cyclocross should be—just like Namur. I’d say the whole house is up at the crack of dawn, but that would be an understatement, as the sun rises late here, usually around nine. The mornings are relatively relaxed. The Juniors are up before the U23’s. They eat, pack and hit the road right around the time we are getting up. We then do the same before jumping into the Team USA sprinters to hit the road. The burnt yellow lights of the Belgian freeway illuminate the road and flash through the windows of the sprinter while we try and sleep. The drive is quite as most of us sleep or listen to music and get in our own zones. The tranquility of the drive is broken the second the van door slides open at the Citadel de Namur. Belgian fans instantly approach us asking for our photo cards and signatures, an uncommon phenomenon in the United States. We handout what we can, sign some cards, and then get to the business end of things. Time to kit up, dial in tire pressure and get in a couple more laps of practice. 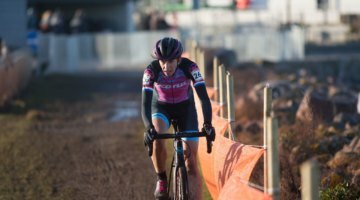 The Namur World Cup is without a doubt the hardest race we do all year (although Jingle Cross in Iowa City this year gave Namur a run for its money). If this course was paved over and we were to race road bikes on the smooth path it would still be hard. Huge amounts of climbing every lap. Now on top of that, the course is covered in mud, rocks, roots, off camber chutes and gnarly steep drops into tight muddy turns at the bottom. This course will beat you down. Go too hard up the climbs and you enter the technical sections with your heart rate spiked and your eyes crossed. 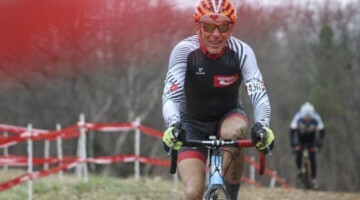 Get cocky on the technical sections and the ruts will throw you sideways into the course poles. That is if the slippery roots that run perpendicular to the deep ruts haven’t already done that. Your tire pressure should be low, but not too low, or the rocks will slash right though your tire. Point is, this is a course of give and take, balance and finesse. Now there is another challenge the race presents, and with that’s the competition. A position is a position for these guys. Doesn’t matter if they’re advancing from 2nd to 1st, or 37th to 36th. They will chop, push and elbow right past you if you let them. In the Unites States you would be called a $%^* for riding like this. 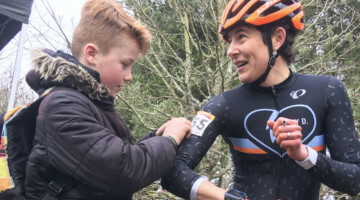 But in reality, this is how it should be, this is cyclocross in its purest form. Slide inside and pass on a corner here and hit the outside of the apex and give a guy you’re passing a little nudge, chances are he’ll come back and go out of his way to do it right back to you. I love it. 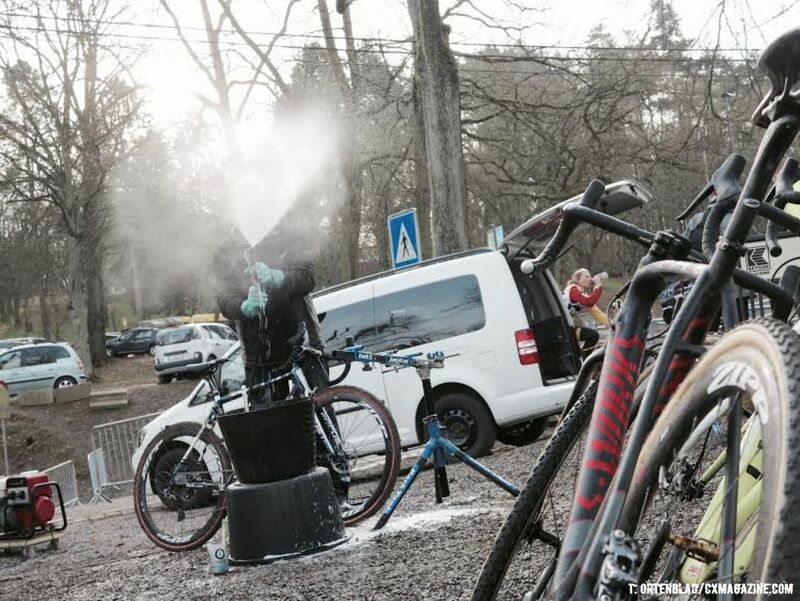 Namur is exactly what cross should be, a hard technical course with fierce competition. This seemed like the first year where the Americans’ efforts and experience from the past years really started to pay off. Yesterday’s race yielded three American U23 Men in the top 25, four American Elite Women in the top 20 and two American Juniors in the top 10. The Zolder World Cup is on the 26th. Expect some more solid, if not better, results from there! Stay tuned for other rider diaries each day from Cross Development Camp.